The superintendent said the driver who hit the student is a newspaper delivery person. A Coventry High School student was injured after being hit and pinned by a delivery truck at the school on Wednesday morning. 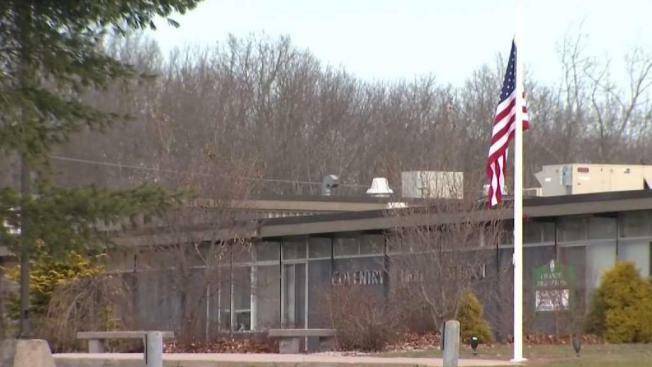 A 16-year-old Coventry High School student was injured when a newspaper delivery driver backed into her as the teen was getting out of a parent’s vehicle at the school Wednesday morning, according to police and school officials. The incident happened around 7:18 a.m., at the beginning of the school day and an ambulance took the teen to Connecticut Children’s Medical Center. The initial reports were that the teen had serious injuries, but police said later that the student's injuries were less serious than officials initially believed. Supt. David Petrone, of Coventry Public Schools, said the newspaper delivery person who struck the student was bringing newspapers for the library. Investigators said the driver was backing out in the wrong direction when he hit the girl. "She exited the car and went around to the back and at that time another vehicle had backed up and she kind of got crushed between the two vehicles," explained Coventry Police Detective Jeffrey Spadjinske. Petrone’s letter to the school community said counseling support is available to any student who might require it. Town officials said while they can't recall an incident like this before, they will be re-examining the traffic pattern. "Anytime something like this happens, there will be an investigation and all the facts will be gathered. If there’s changes that need to be made, those will be reviewed and recommended," explained the town Emergency Management Director James McLoughlin. Coventry police are investigating and they are asking any witnesses to call them at 860-742-7331.